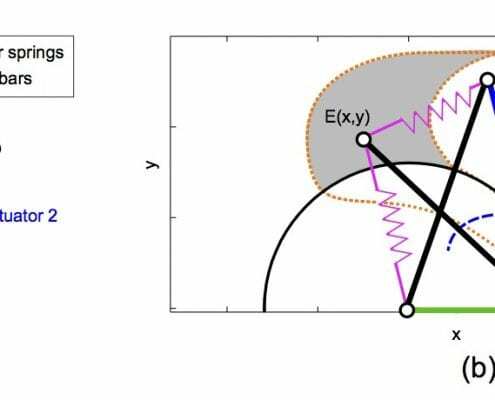 A novel parallel kinematic mechanism (PKM) with Schönflies motion has been proposed under the guidance of a graphical type synthesis method. This PKM is composed of four identical arms and a single platform, and has high rotational capability. A nonholonomic orienting platform with a passive spherical joint and two actuated translational joints is studied in the paper. The platform is underactuated and its motion must avoid mechanical singularities. 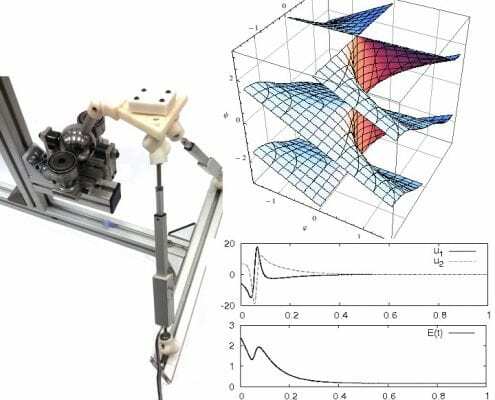 In the paper there are algorithms developed for stabilization and motion planning. These algorithms keep platform trajectories within regions of regular configurations. Tensegrity mechanisms are mechanical systems composed of rigid struts maintained in compression by tensioned springs. Thanks to this very particular structure, these mechanisms exhibit several advantages for various applications, ranging from mobile robots to manipulators.